Oak Santandor. 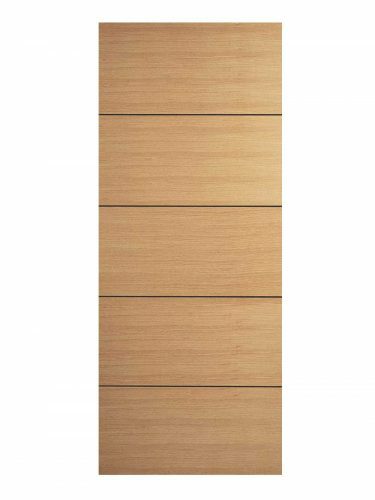 Four, contrasting dark oak grooves create interest on this door design. 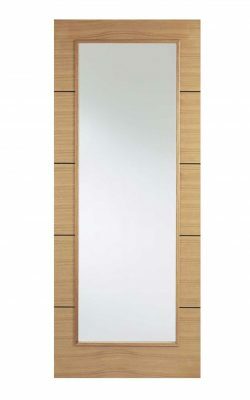 Giving the illusion of panels it is a clean flush designed door.